Jim Rogers, a Louisiana native, holds a B.S. from California State University at Los Angeles, and did his graduate work in Banking and Economics at Northwestern University (Evanston Campus). Jim brings over 49 years of real estate development experience, including land acquisition; leasing; negotiating architectural and construction contracts; commercial sales and consulting and commercial loan applications. Jim has developed for his own account and for investors over 4,000,000 square feet of office buildings, warehousing, retail, and apartments. Jim's credits include the Celanese Chemical Company national headquarters building in Dallas, Texas, the Superior Oil Company (merged into Mobil Oil Co) regional offices in Lafayette, La; the initial Marathon Oil Company regional offices in Houston, Texas; and, various medical office buildings for the Sisters of Charity of the Incarnate Word, Houston, TX. More recently, Jim was part of team performing project management and leasing for the Wink Engineering Building in Covington, La. Jim was also part of a team put together to negotiate the acquisition of the New Orleans Center complex by the Superdome ownership (the Louisiana Stadium and Exposition District) that resulted in an option to purchase the New Orleans Center properties. The majority of Jim's real estate career was under the banner of ROGERS & COMPANY, INC (a Texas Corporation). 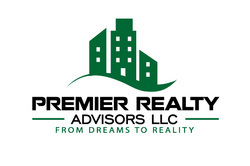 Jim formed Premier Realty Advisors (a Louisiana Company) in 2008 with associates in Lafayette and the North Shore/Metairie area. Even after all these years of commercial real estate experiences, Jim is not ready to give up development, consulting, and brokerage services. He looks forward to providing he and his associates commercial real estate expertise to Premier's clients.